Hikers and hunters nationwide will migrate to the mountains, woods and fields, but many, unfortunately, are ill prepared for the beating their feet will take. Hikers and hunters should invest in top-quality hiking boots. Strong, well insulated and moisture-proof boots with steel or graphite shanks offer excellent ankle and foot support that helps lessen stress and muscle fatigue to reduce injury risk. The supportive shank decreases strain on the arch by allowing the boot to distribute impact as the foot moves forward. So if a boot bends in the middle, don’t buy it. In wet and cold weather, wearing the right socks can help prevent blisters, fungal infections and frostbite. Synthetic socks as the first layer to keep the feet dry and reduce blister-causing friction. For the second layer, wool socks add warmth, absorb moisture away from the skin, and help make the hiking boot more comfortable. Wool lets moisture evaporate more readily than cotton, so fewer blisters develop. According to the ACFAS consumer website, FootHealthFacts.org, pain is a warning sign that something is wrong. “Serious injury risk escalates significantly if you continue hiking in pain.” (HE/SHE) likened hiking to skiing, in that beginners should take on less difficult trails until they become better conditioned and more confident. 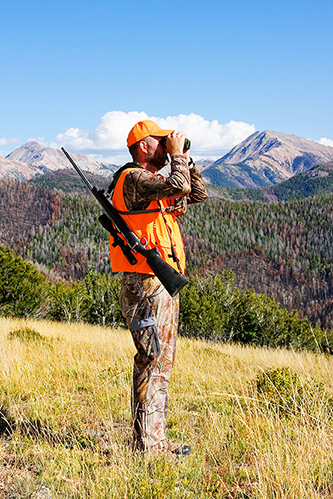 Evaluation by a foot and ankle surgeon is recommended if there is persistent pain following a hiking or hunting outing. Most concerning is ankle instability and strained Achilles tendons. Inattention to these problems at their early stages may lead to a serious injury that will keep you off the trails for a long time. Hikers and hunters seeking further information about ankle sprains, Achilles tendon injuries and other foot and ankle problems should contact Alaska Foot & Ankle Specialists at 907-569-3668 for an appointment.